If you’re looking for business proposal software, you probably want help drafting professional proposals, cut back on writing time, keep your pending proposals more organized…or, let’s face it, all three. In this guide, we review the top business proposal software that solves each of these problems: PandaDoc, Proposify, and BidSketch. We also looked at other key considerations, like price, support, integrations, and more. Read on to find our recommendation, followed by a detailed comparison. 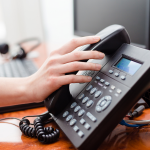 Can you invoice clients and process credit cards? Learn More Insightly, Zoho, Salesforce & many more CRMs. Insightly, Zoho, Quickbooks, Xero and many more. Salesforce, Freshbooks, Basecamp, Harvest and a few more. How Did We Evaluate Business Proposal Software? A business proposal is something you write when you want to win a contract. 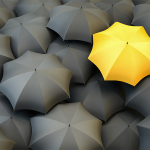 A proposal makes a case for why your business should be chosen. 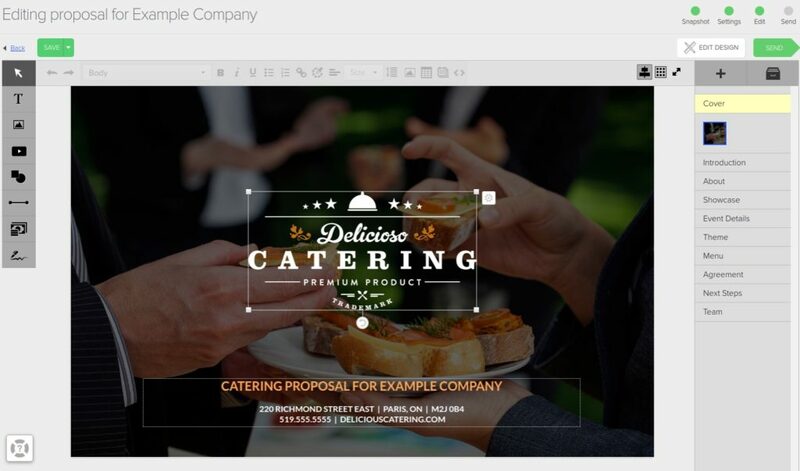 Business proposal software helps you complete this document by giving you professional templates and unique interactive tools, like a selectable pricing table and e-signatures. 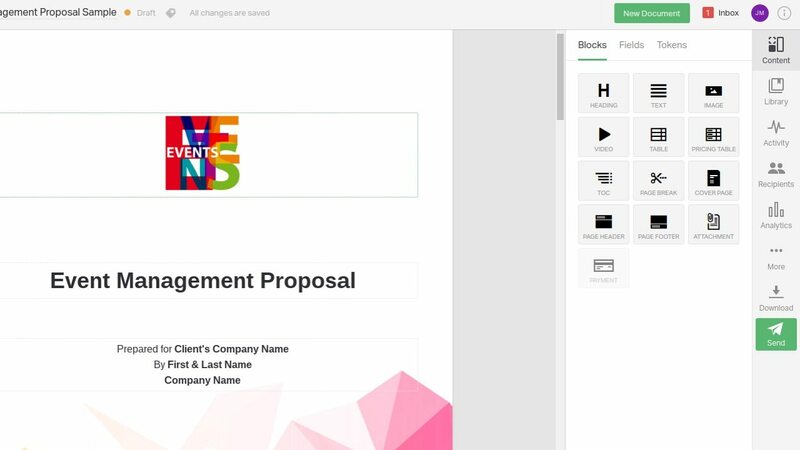 While most businesses start out using Word or Google Docs, they find proposal software helps them create better proposals faster, and stay organized between simultaneous projects. What tools do you get to draft a proposal? Beyond the basics, like customizing the font and adding photos, you may want interactive features – i.e. a pricing table where clients can select different options/quantities. What happens when your client receives the proposal? Is it as simple as viewing it and clicking “accept”? Can they add notes, e-sign the document, and pay via credit card? 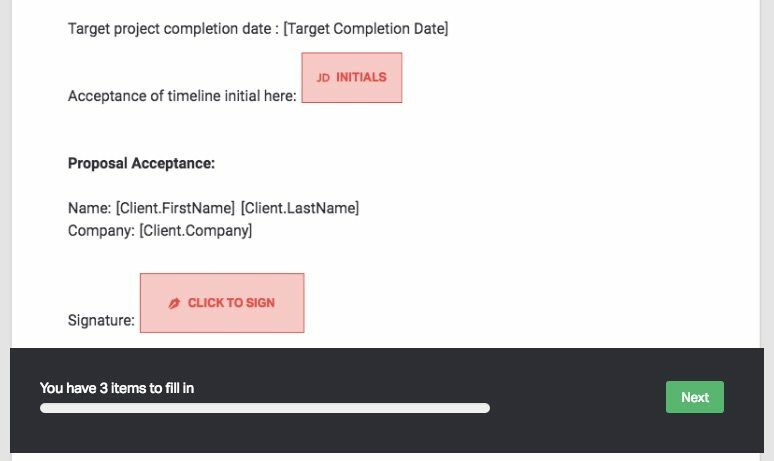 Can you track proposals after they’re sent? Rather than blindly await a response, some programs can tell you when your proposal was opened, how long your clients spent reading it, and even how much time was spent on each page. Does it integrate with other programs? Some proposal programs can be used within a CRM, like Insightly or Zoho. This allows you to quickly draft proposals with pre-populated fields and without ever leaving your CRM. Of the four main factors we looked at, PandaDoc (formerly QuoteRoller) was the only one to excel at all. They give you a simple editor to draft professional and engaging proposals. When you send it to a client via email, they can interact with the proposal by selecting different items, adding notes, and filling out any fields you require. If you require a deposit, you can even include the option for clients to pay via credit card directly from the proposal. After you send a proposal, you can monitor when it’s been opened, how long it’s been viewed for, and even which pages are being looked at the longest. This can help you refine and improve your proposals for clients in the future. PandaDoc is also the best value in that they do not limit how many proposals you can send. Proposify, their next closest competitor, limits you to just 5 active proposals on a comparative edition. If there’s one downside to PandaDoc, it’s that you can’t access 3rd party integrations unless you upgrade to the Business edition ($49/mo, or $39/mo when paid annually). That said, PandaDoc’s CRM integrations are very strong – as one example, you can create and send proposals directly from Insightly, pre-populated with CRM data. BidSketch takes a very different approach. Unlike Proposify and PandaDoc’s graphic-based editing, BidSketch is more like a guided walkthrough on how to write a proposal. This makes it good for non-visual learners, who prefer step-by-step guidance. On the other hand, BidSketch also lacks some key features, like credit card processing, text forms, and the ability to track how long recipients spend on each page. All 3 programs are priced very similar. It’s about $30/mo for 1 user if you pay month-to-month (paying annually is closer to $20/mo). However, what you get for that money differs between the 3 programs. PandaDoc: PandaDoc allows you to send an unlimited number of proposals, regardless of which edition you choose. It starts at $29/month ($19 if paid annually) for 1 user. You get all the main features except for integrations and a content library to pre-save “sections” of your proposal, like an intro or pricing table (though you can still have these saved in your templates). You’re also limited to only saving 5 templates. The $49/month version ($39 annually) includes these features and gives you an unlimited number of templates. You also get manager approval workflow, which is a feature you can use to pass all proposals through a manager before they get sent out. This edition also adds phone support. Proposify: Proposify starts at $25/month ($20.83 if paid annually). You can create an unlimited number of user accounts, but you’re limited to only 5 active proposals at one time. The next edition, at $50/month, increase this to 25 active proposals. Subsequent editions raise the limit even higher, and give you role, permission, and team management tools. BidSketch: BidSketch starts at $29/month for 1 user ($23 if paid annually), and an unlimited number of proposals. This edition gives you all the key features, except for team management and real time collaboration. These are available at the next level for $79/mo ($47 paid annually), which gives you 3 user accounts. 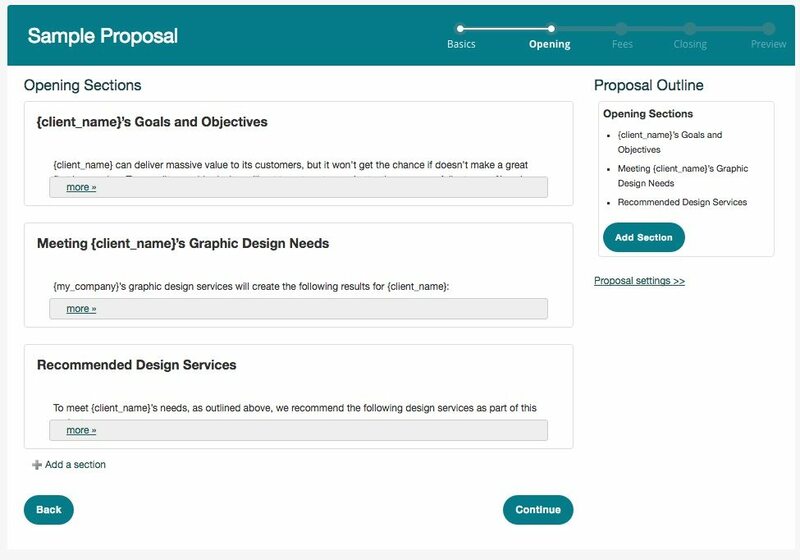 Let’s face it: If you’re looking at proposal software, you want something that’ll help you create better-looking proposals in less time. Each of these programs can help you do this, although it depends on exactly what features you need and the type of learner you are. In a nutshell, BidSketch has a more traditional and hands-on approach. They’ll gradually walk you through each step, but you won’t be able to see your full document until the very end. Proposify and PandaDoc, by contrast, are for visual learners who prefer to dive in and start editing from the get go. Brand your proposal w/ a logo, color scheme, font choice, etc. PandaDoc: PandaDoc calls to mind a document editor like Word or PowerPoint. When you choose a template, you can immediately begin scrolling and editing it. Easily drag and drop “blocks” from the right-hand toolbar. “Blocks” are objects like tables and video embeds that help add more pizazz to your proposal. PandaDoc gives you the best selection of “blocks” including lots of interactive features. For example, you can add a text box for a client to respond to a question, or select a starting date. These are subtle, but potentially important features not found in the other programs we reviewed. Other features unique to PandaDoc is the ability to add a Table of Contents and custom CSS code, add a payment option (to pay via credit card), and require electronic signatures throughout the proposal. In other words, you can require clients to sign or add initials in multiple spots – or even ask different people to sign in different locations. One feature unique to Proposify is that you can draw on your proposal by adding shapes and lines. While you’d probably want to do any heavy graphics editing in a different program, this can be helpful if you like to do more specialized formatting or draw simple diagrams in your proposal. Like PandaDoc, you can also add boxes for recipients to add their signatures. You cannot ask for initials, however, nor can you accept credit card payments, or require recipients to fill out fields. BidSketch: BidSketch takes a different approach than the other 2 programs. Whereas Proposify and PandaDoc are similar to a document editor, BidSketch is more like a questionnaire you fill out: You enter in the text and objects you want for each section. Then, BidSketch adds it altogether and creates a professionally-formatted proposal. This has its pros and cons. One the one hand, it can be helpful for those new to writing proposals: BidSketch walks you through the process and gives you hints on what to include where. You can also save different “sections” and easily paste them in later. On the other hand, BidSketch can be a little confusing for those who are used to a visual editor. You don’t get to see your proposal as a single document until the final step. Thus, you may be more prone to going back and making changes – i.e. if a section feels too long or too short. With proposal software, you have two options for sending the document: you can print it out or send it via email. The latter option opens a lot more features. Upon opening the document, your recipient can click to approve or deny it. They can also add notes, request changes, and more. Here’s how each program differs. PandaDoc: With PandaDoc, your recipient gets a guided walk-through – the tool will highlight where they need to sign, initial, check a box, or submit a note. From there, a recipient can choose to choose to accept & continue, or decline the proposal. They can also add notes, which will be visible to you from your dashboard. Proposify: A standout feature of Proposify is their “send” menu. 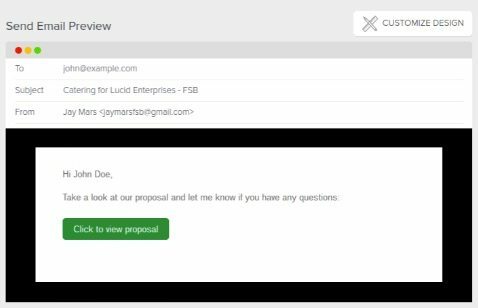 Before sending your proposal, you get to preview (and adjust) how the email will look to your client. You can queue a “thank you” email that will be sent if they accept the proposal, or a reminder email to go out after a preset number of days. These are tools you don’t get from the other programs. After your client opens the message, they can accept/decline the proposal and add comments. They don’t get a guided walk-through, however, like recipients do with PandaDoc. BidSketch: Like Proposify, BidSketch has a simple menu for recipients after they open the proposal. They can add notes at the bottom, and click accept, decline, or postpone as a unique 3rd option. So you’ve written and sent your proposal – now you have to bide your time and wait for a response, right? Not so much. A major perk of using proposal software is that you can monitor exactly when a recipient opens a document and how long they spend reading it. With PandaDoc and Proposify, you can even monitor how long they spend on each page or section. You can immediately gauge how interested a prospect is. You can determine which sections of your proposal are the most engaging, and which are being skipped. In the long run, this helps you optimize your proposals and your writing style. PandaDoc: PandaDoc lets you track when a recipient opens your proposal AND how long they spend on each page. Proposify: Proposify lets you track when a recipient opens your proposal AND how long they spend on each section. BidSketch: BidSketch lets you track when a recipient opens your proposal AND how long they spend reading it. It cannot track how much time is spent on individual pages. If you send a lot of proposals in a typical week, the advantages of using business proposal software are probably quite clear. Let’s say you only send one or two a month, however. You might be wondering: Is the convenience worth signing up for yet another program with yet another login? Well, one perk of using online proposal software is that many programs integrate with other systems – like CRMs and invoicing software. This means you can automatically populate your proposal with CRM data, or convert a proposal to a project or invoices with just a few clicks. In other words, you can integrate your proposal software with the rest of your business programs to make workflow all the more smooth and fast. With each program, the exact features of the integration are a little different. Generally, speaking, you can import contacts from a CRM and automatically update your “deals” whenever a proposal is sent. With the Insightly integration, you can even create PandaDoc proposals within the CRM. PandaDoc does not integrate with any invoicing programs – but this is likely because they have their own payment processing function. You can ask for a credit card payment directly on your proposal. Proposify also links with a few accounting/invoicing programs, including QuickBooks, Xero, and Freshbooks, This allows you to painlessly “convert” your proposal into a payable invoice. Proposify also has a few additional integrations supported through Zapier – a third party integration service. BidSketch: BidSketch supports a few official integrations, including Salesforce, Freshbooks, Basecamp, Harvest, and a few more. Like Proposify, they also work with Zapier to give you an additional list of integrations. Most people consider business proposal software when they want to up the quality of their proposals, save time on writing, or get more organized. Of all the programs we looked at, PandaDoc is the most likely to help you with all three. Their editor tool is very intuitive and filled with useful features like text fields and signature boxes. The fact that you can accept credit card payments directly on a proposal cuts out the following step of writing an invoice. Finally, close integration with CRMs like Insightly help you stay you much more organized AND allow you to draft proposals more quickly. Hi Jeremy, this looks like an amazing review. What are your thoughts on qwilr.com? At a starting price of $49 (paid month-to-month) it’s a bit more expensive than the other services. The proposal templates look nice, but comparable to the other programs — I cannot tell why the price tag is higher.